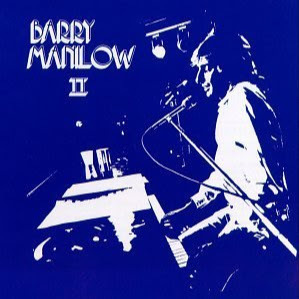 My second album, BARRY MANILOW II, was a landmark album for me and is personally memorable for a few reasons. When “Mandy”, the first single, hit the charts at number one, it marked the beginning of a string of hits that I would never have even dreamed of. When Clive Davis, Arista’s brilliant President, showed me “Mandy” and encouraged me to explore its possibilities, it began a collaboration that continues happily to this day. “Mandy” becomes more emotional for me as each year passes. “Home Again” still remains one of my favorite songs. And “Avenue C” swings as much today as it did when we were recording it. Ron Dante, the album’s Co-Producer, and I wanted to create an album that would be popular at the time, but would also endure. As I listen to the album, I’m proud to say I believe we achieved that goal. “Good News” – Barry’s Note (2006): This is a wonderfully funky song that my dear friend Melissa Manchester and I wrote back in the day. There’s a version somewhere with Melissa doing a fantastic solo turn on the song. One of these days I’ll find it. The song never made it on to the album and I’m glad it’s still alive and well. “Halfway Over The Hill” – Barry’s Note (2006): I wrote this song after failure of my first album. I felt that I was SO close to recording a popular album because the response of the audiences to all of the material from that first album was always so positive. All I needed was one hit single. Boy, did my wish come true on this album!